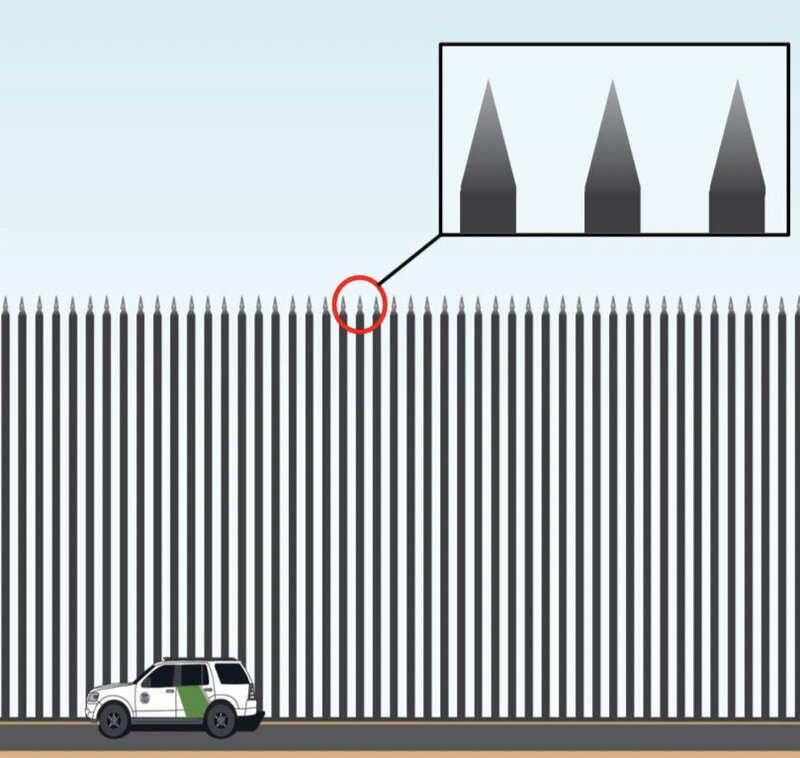 Dictator Donald Trump (DDT) is holding nine government agencies hostage to get his steel slats, DDT’s new name for his border wall. Over 420,000 federal employees will continue to work without paychecks—41,00 in the FBI, Drug Enforcement Agency, Bureau of Alcohol, Tobacco, Firearms and Explosives, and other law enforcement and correctional officers. Almost 90 percent of DHS employees working without a paycheck includes 53,000 Transportation Security Administration employees, 42,000 Coast Guard employees, and 54,000 employees from Customs and Border Protection. Other unpaid employees are 5,000 Forest Service firefighters and 3,600 National Weather Service forecasters. Another 380,000 federal workers who also lose their paychecks and not allowed to work include over 44,000 employees from the Forest and National Park Services, 52,000 IRS staff, and 7,100 Housing and Urban Development workers, and 18,300 Transportation Department employees. Robert Mueller’s investigation continues. Departments shut down are Treasury, Agriculture, Homeland Security, Interior, State, Housing and Urban Development, Transportation, Commerce, and Justice. Services lost include income tax returns, availability of national parks and zoo, loan processing for housing, trade appropriations, paychecks for active-duty military members, WIC funds feeding low-income pregnant women and new mothers with their children up to five years old, with healthy food, detection and investigation of disease breakouts, and appeals for VA disability benefits. Other losers are janitors, security guards, and other low-wage federal contractors who live paycheck from paycheck. Subsidized grocery stores for military families are closing. DDT is in his third shutdown in 100 weeks, but the others were short. He is promising that this one will last a “long time.” The 17-day government shutdown in October 2013, the longest in U.S. history except for Bill Clinton’s 21 days over Christmas in 1996, cost $2 billion in just “lost productivity of furloughed workers.” A shutdown when one party controlled the government—both legislative and executive—hasn’t happened for over 40 years. During the past few days, DDT has led everyone on a roller coaster with shutdown talk. Without retiring senators, DDT might have gotten through a 60-day CR for the budget that included his steel slats. In a meeting with Rep. Nancy Pelosi (D-CA) and Sen. Chuck Schumer (D-NY), DDT said he was “proud” to cause a shutdown. That temper tantrum was followed by his claim that he would sign a short-term continuing resolution without funding for the wall. Congress took him at his word and passed the bill that he offered. At that point, he refused to sign the CR because it didn’t include $5 billion for a wall because the Fox network and other far-right pundits said he should demand the wall. Members of Congress had already gone home and were forced to return for votes. Rep. Brian Schatz (D-HI) spent 17 minutes with his family before he had to go back to Washington, almost 5,000 miles away from his home, for a vote. The House caved and passed another CR with $5.7 billion for the wall, but the Senate needs 60 votes to move any bill forward. It managed 47 votes for a tie in a bill with the funding that VP Mike Pence broke. Tonight the shutdown began, and DDT is sitting by himself in the White House waiting for his direction from Fox and Rush Limbaugh. Congress may—or may not—return tomorrow to address the problem, depending on whether their work could bear fruit—or steel slats. DDT has decided to blame Democrats for the shutdown, but he is on record as saying that he “owns” the shutdown. While the government was responsible for averting a shutdown today, Rep. Pete Sessions (R-TX), who lost his re-election bid, held an emergency House meeting on the Senate “Curd Act” to define natural cheese. Amid all the following disastrous events of the past week—plus the government shutdown, Sessions considered the definition of “natural cheese” to be an emergency. Sessions lost to a black civil rights lawyer by six points after he was in Congress for 22 years. For the first time in the history of the United States, a Defense Secretary has resigned to protest the actions of the man in the Oval Office. DDT’s intemperate decision to remove all the U.S. military from Syria appeared to be the last straw for James “Mad Dog” Mattis who went to the Oval Office seeking reason from the U.S. “leader.” According to DDT’s tweets, Mattis will be gone in two months. During his career in the Cabinet, James Mattis stopped a U.S. strike on North Korea, tried to preserve relationships with allies, stalled the proposed military parade, sided with keeping transgender military members, and worked, although failing, to keep the Iran deal, according to David Graham. DDT falsely claimed the ISIS is defeated in Syria although senior officials concluded that this defeat could be months away with thousands of ISIS militants underground in Syria. The Pentagon estimates 17,100 ISIS in Syria and another 13,000 in Iraq, the same as in 2014. In 2016, DDT blamed President Obama as “founder of ISIS” because he withdrew U.S. troops from Iraq. Turkey and Russia are both pleased with Putin’s move because they both support Syria’s Assad government and oppose the Kurds who are fighting ISIS. DDT lied in his tweet about Russia being “unhappy” about the withdrawal, and Russian officials corrected him, saying that it was a good idea. “Trump is God’s gift that keeps on giving,” said Russian columnist and foreign affairs analyst. Iran is also delighted because DDT’s troop withdrawal opens a path for Iran to defeat Israel. Netanyahu tried to put on a happy face, merely saying that Israel will escalate its fight against Iran. White supremacists in the United States are also ecstatic about DDT’s removal of troops from Syria because they look on its president, Bashar al-Assad as a hero with the far-right white supremacists in the United States. DDT’s 30-day timeline for withdrawing the military troops, equipment, and heavy weapons may be impossible. The Pentagon wonders whether to retake thousands of weapons distributed to Syrian ground forces and the equipment over a half-dozen military bases. The latter may be destroyed in place. And a serious question is what to do with Kurdish fighters and the 79-nation international coalition to erase ISIS. With cells throughout the world, ISIS routinely initiates attacks throughout Syria. NGO’s supporting U.S. agencies bringing water and sanitation back to the ruined town of Raqqa were ordered to immediately leave. Pulling troops out of Syria doesn’t mean that DDT will stop killing civilians there. He is leaving the air power and may increase strikes after U.S. troops are gone. DDT is also strengthening Iran because they support Turkey in opposing the Kurds. Although DDT didn’t tweet his orders, he plans to pull 7,000 military members out of Afghanistan, about half the number stationed there. The Taliban will most likely be satisfied with the pullout, but Israel is concerned that the U.S. will leave Iraq next. Even Brian Kilmeade on Fox & Friends opposes DDT’s action, calling the pullout a “stunning and irresponsible” move. Ed Henry protested. DDT is sticking to the advice of Rush Limbaugh and Laura Ingraham to pull out troops and shut down the government. DDT’s creation of chaos by pulling troops out of the Middle East and causing a government shutdown provides his latest diversion from the multiple investigations of him, his campaign, and his associates. And “acting” Chief of Staff Mick Mulvaney flunked his first task of handling Congress. And much more to report about this week’s disasters–tomorrow.